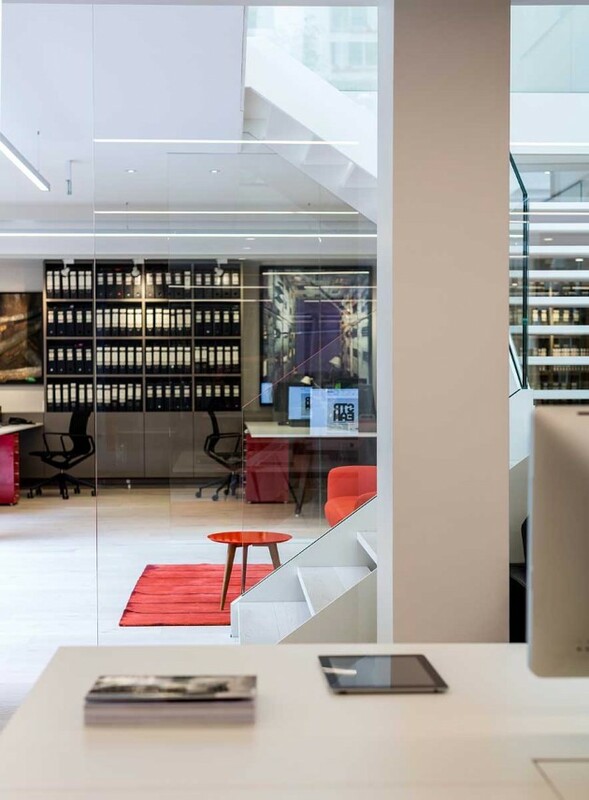 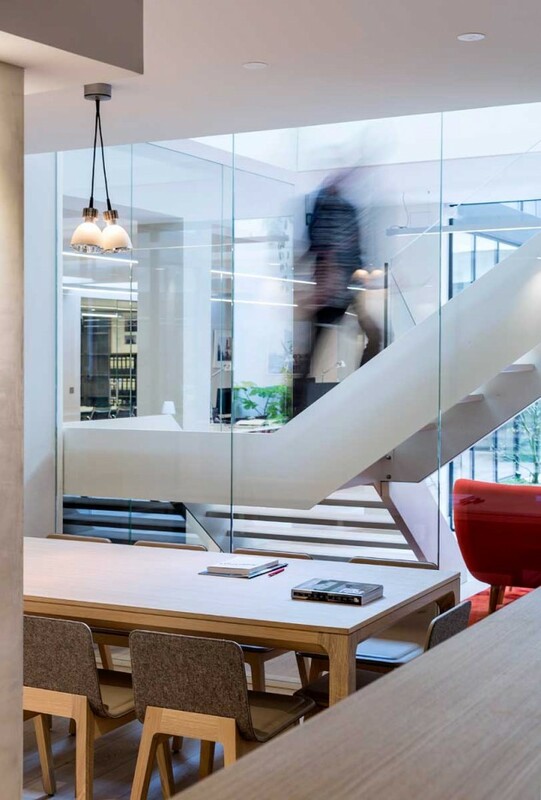 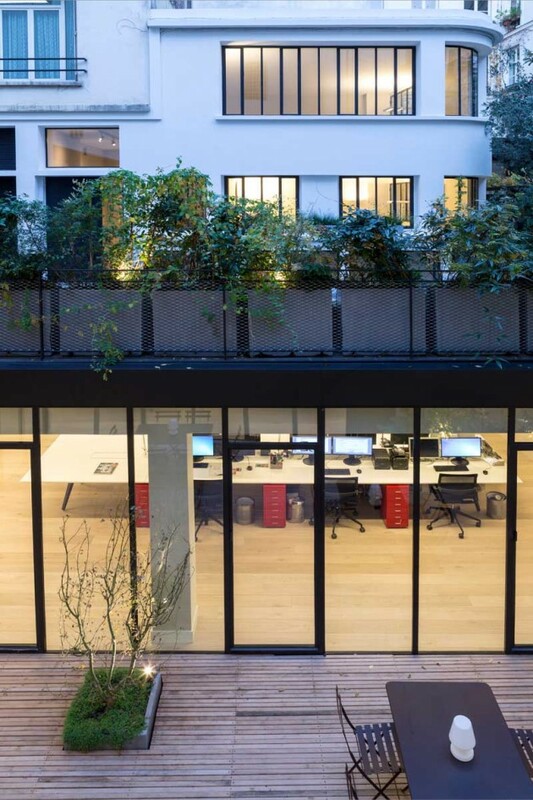 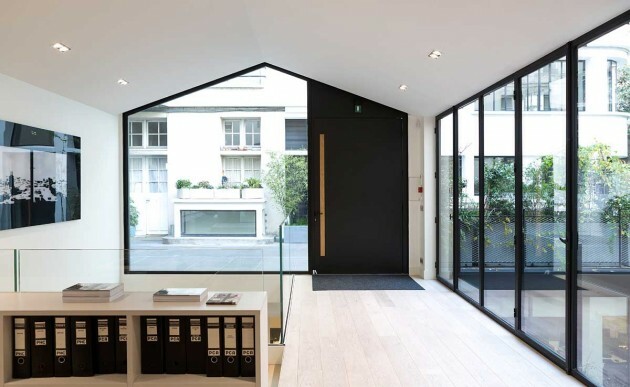 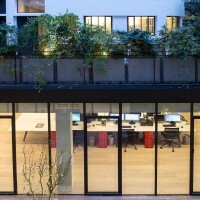 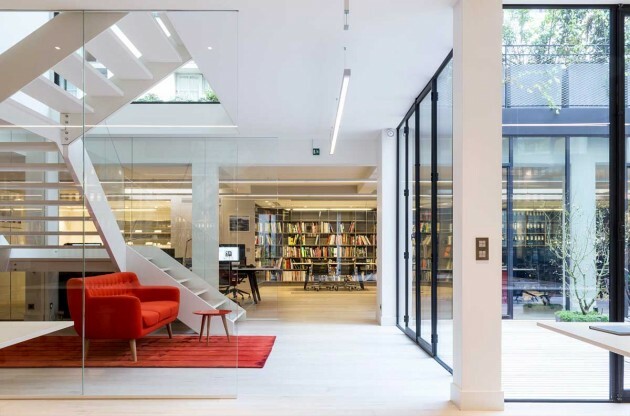 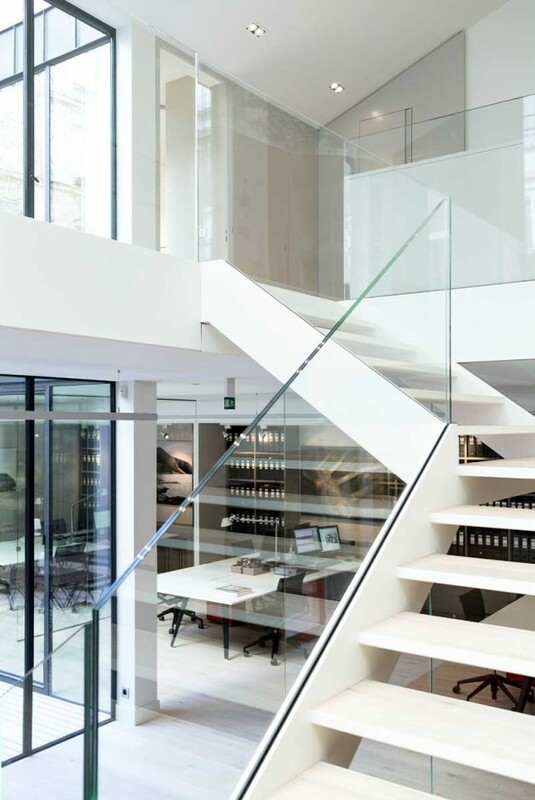 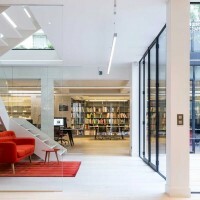 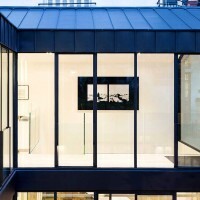 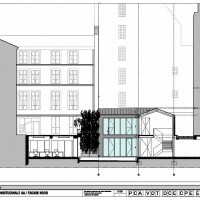 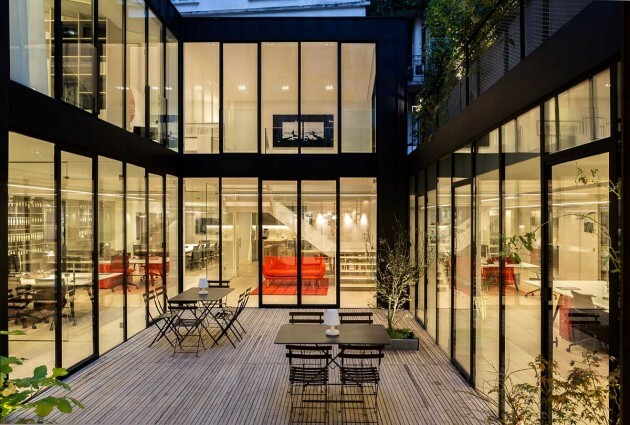 Philippe Chiambaretta Architecte (PCA Agency) have recently completed the renovation of an old printing office in an 1950’s building into their new offices, in Paris, France. 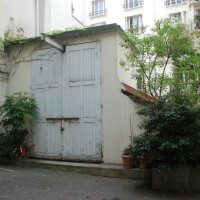 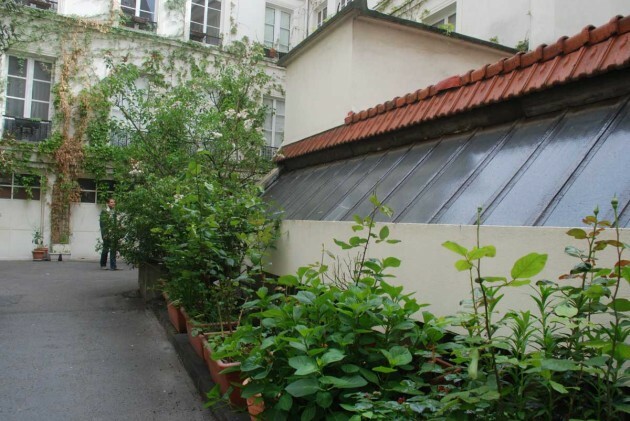 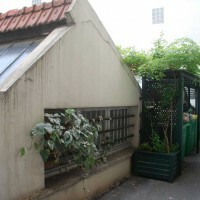 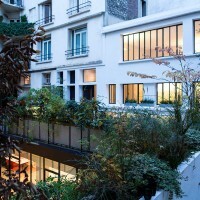 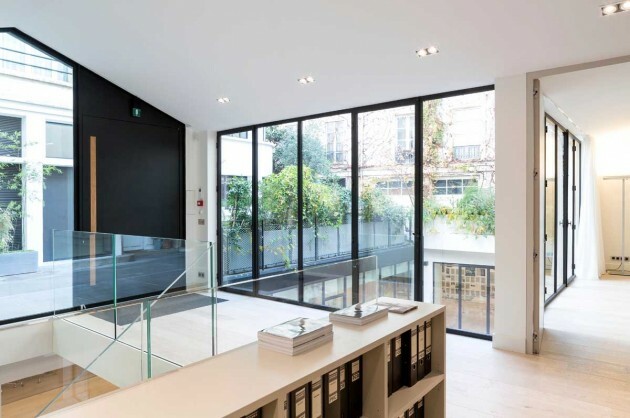 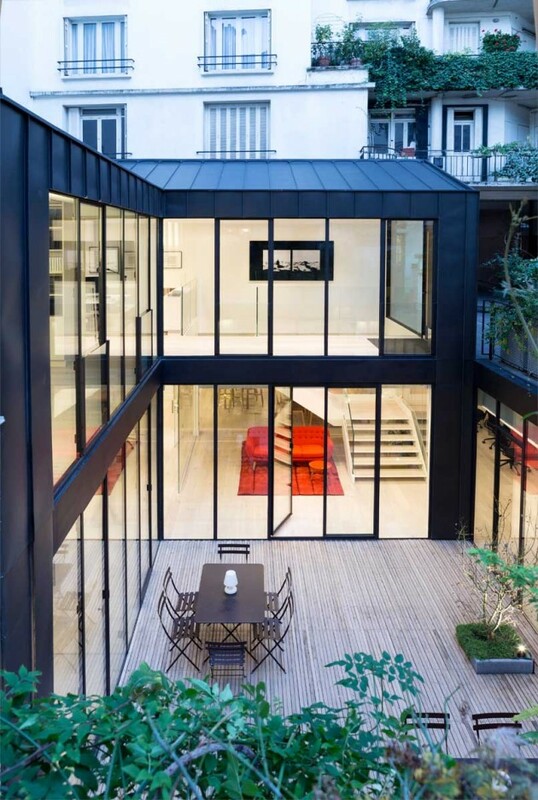 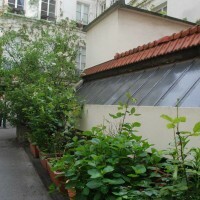 56-58 rue Vieille du Temple is located in the heart of the Marais, in the 3rd arrondissement of Paris – a popular neighborhood of boutiques and galleries. 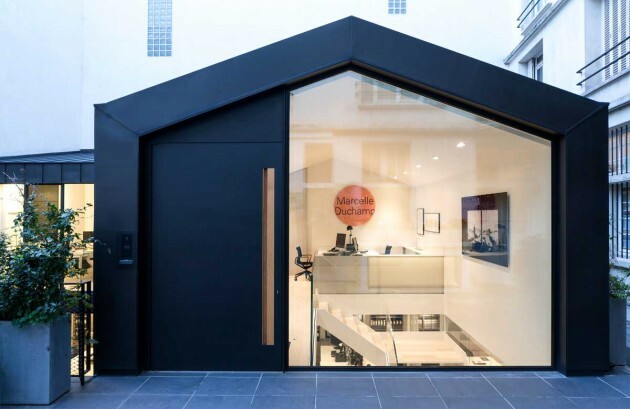 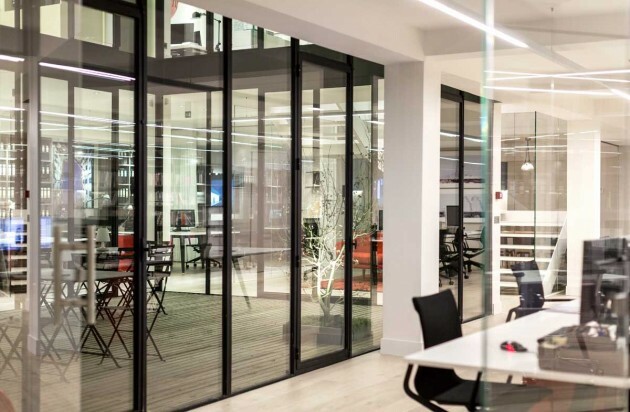 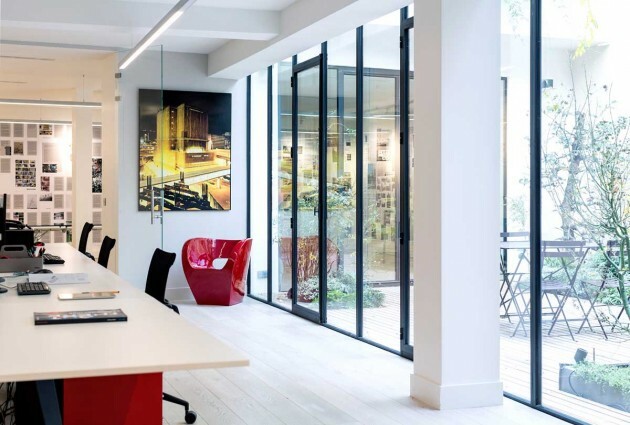 PCA’s new agency replaced an old printing office that was located in a courtyard of a 1950’s building. 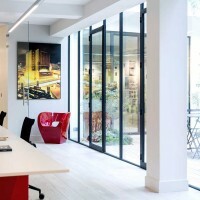 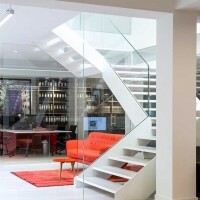 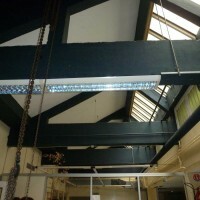 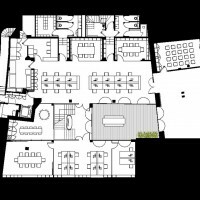 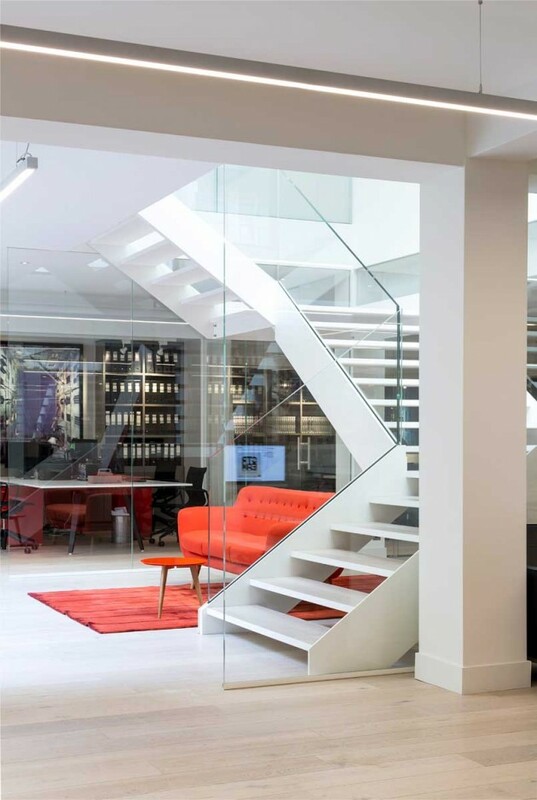 The goal of the project was the restructuring of a workshop and its annex into an innovative office. 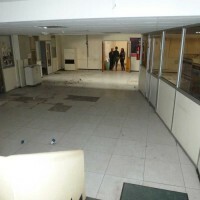 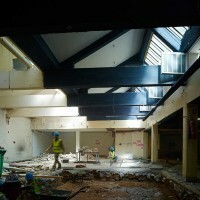 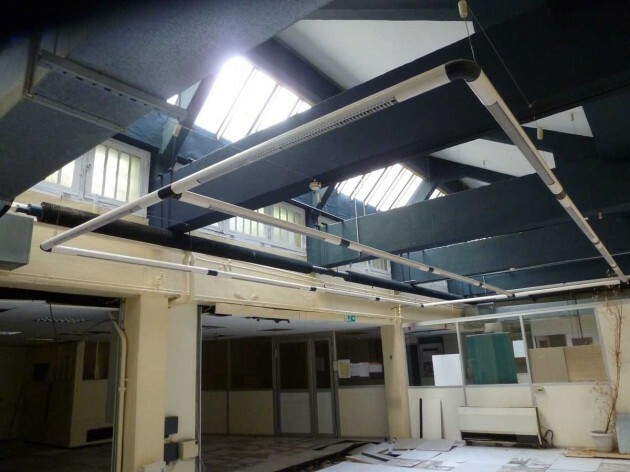 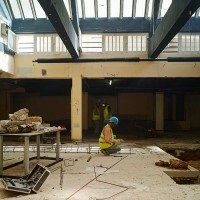 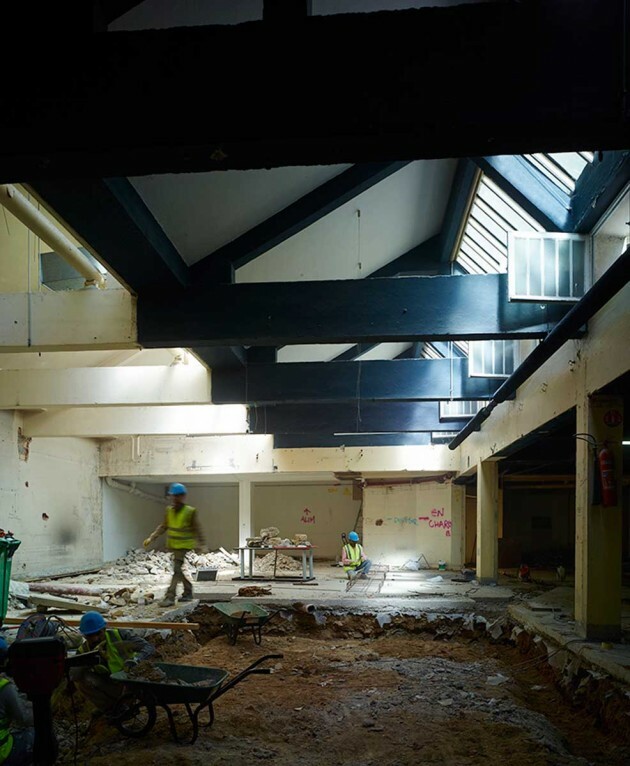 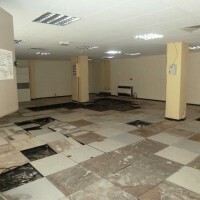 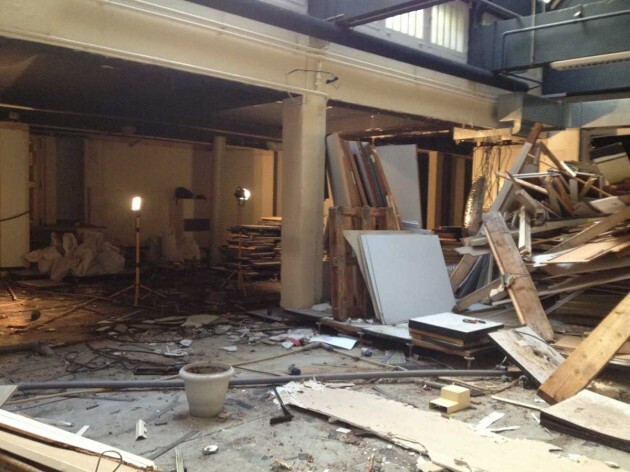 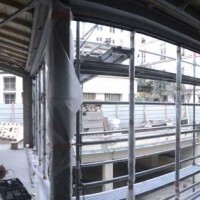 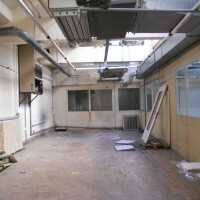 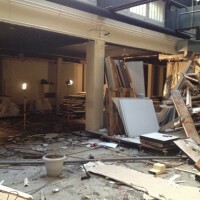 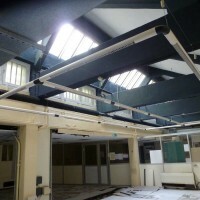 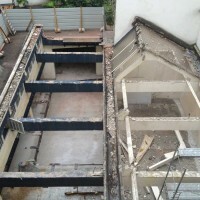 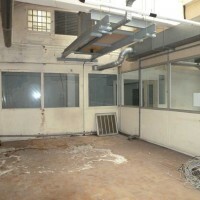 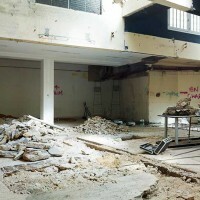 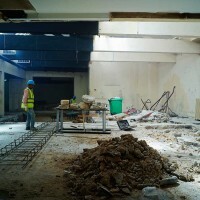 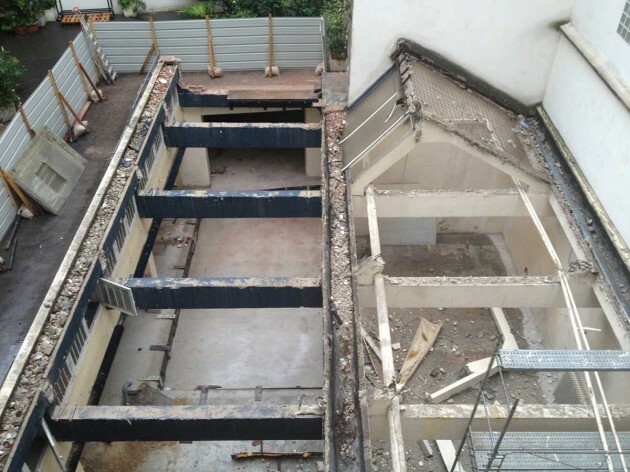 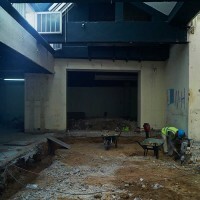 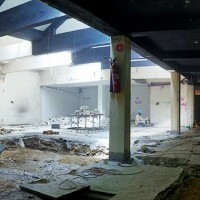 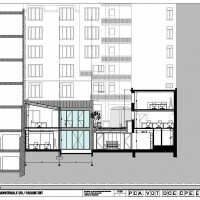 Through a partial demolition, the open-space work areas are built around a patio. 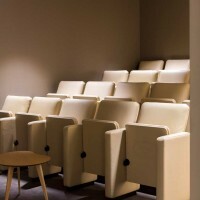 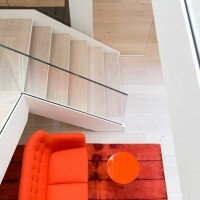 This design change brings a flood of natural light underground. 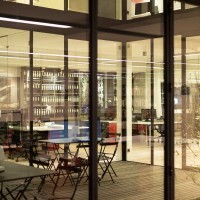 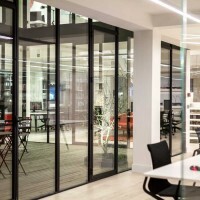 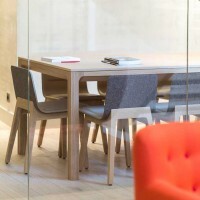 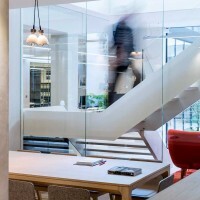 In the spiritual reflections lead by PCA on new workspaces, especially by the publication of Stream 02 After-Office, the notion of transparency and communication has been put into effect by creating vast open-spaces while still preserving various private areas: a library and several meeting rooms. 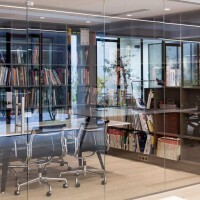 A favorable work environment has been created, offering better working conditions for collaborators and visitors of the agency, increasing the emulation of collective work and also a range of concentrations.